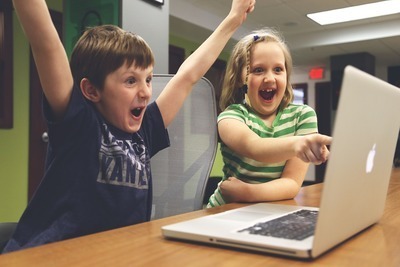 Do you love playing games on your android phone? off curse a lot of people do this. The gaming industry is making really great games. But there is only one problem Ads & In-app purchase. This thing is very annoying. 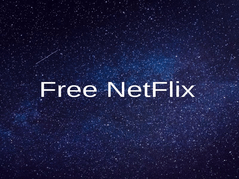 Some games work with the internet only so you have turn on data means more ads. But don’t worry today I have a solution to all problems. The solution is Lucky Patcher. Some of you might already know about this if you don’t then don’t worry I will explain. 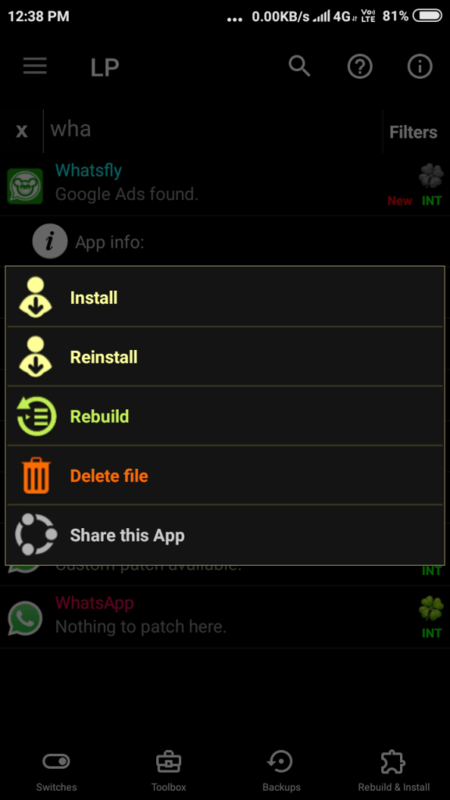 It is more than this you can remove ads, modify in build apps but for all features, you have to root your phone. Rooting means no warrantee but for in-app purchase, the user does not need to root the phone. Next time you like an app then don’t search on the google Mod version of x game. Use lucky patcher instead of this. 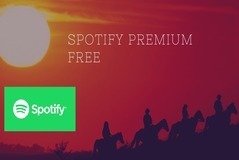 I have tried it with many apps and it works perfectly fine. It may error while using with other application but for games, it works perfectly fine. Your system shows you a warning this is a harmful app, contain malware. 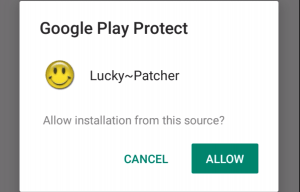 Ignore it because Google doesn’t want you to use lucky patcher instead of buying in-app purchase. 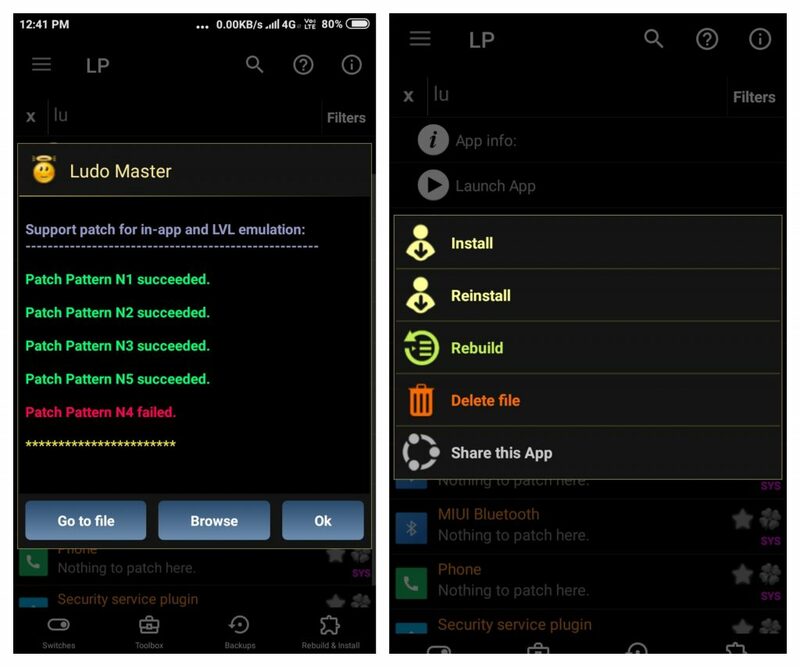 Here are all features of Lucky Patcher that will encourage you to download and use this app. 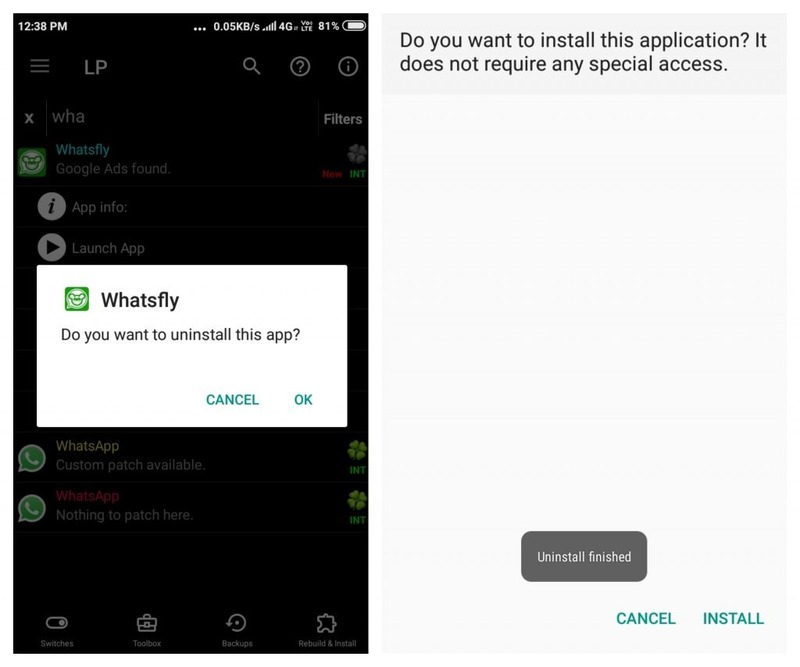 You have to uninstall the previous app and install new build app. Ads on the android phone are very annoying especially full-screen ads. I have tested it with many apps. When I first heard about this I thought it will not work anymore in 2019 but it is still working. Problem with the first method is that you have to do this for every app. So my recommendation is the second method. In the last month, I start playing pubg but my parents forced me to play this game. They have just uninstalled it from my phone. In India Pubg is responsible for many circumstances some people do suicide with it, some become mad. Anyway, but if you are position is similar to me or you want to keep an app on your phone then you can make them system apps like Camera, Message, etc meaning bloatware. In these days coin is part of every game like ludo, temple run, subway surf, etc. But if I told you have you can get unlimited cons or whatever is available in-app purchase. This is one of the best features. 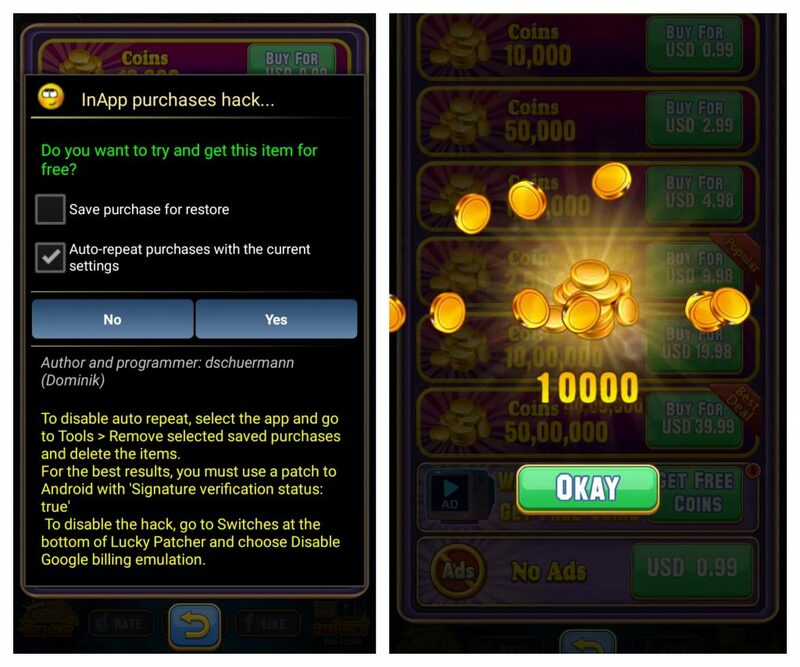 For any reason, if no ads did not work for you then you can remove ads using in-app purchase. I have tested this feature with the above three games it works perfectly. I don’t know how it bypasses Google willing system but every time it works. There are so many apps where you need a license to use them. Although the app is free you need o pay for the license but using lucky patcher you can bypass this feature. This is also one great feature of LP. So sometimes we have important stuff in the app & we don’t lose it. In this case, Lp will help you. Using this you can create backup and then you can use this backup at any time. For system apps this is must step otherwise if you have important stuff like coins then you can also use this. It will create a backup with just one click. From the bottom, you can find backup and use it at any time. You don’t need to root your phone for creating a backup. Almost every app needs permission to your contacts & Gallery. If you are testing a new app and it requires critical permission which you don’t want to allow then you can create a modified app where you set app permissions. I test a lot of apps so I really need this thing I hope it will help me in the future. 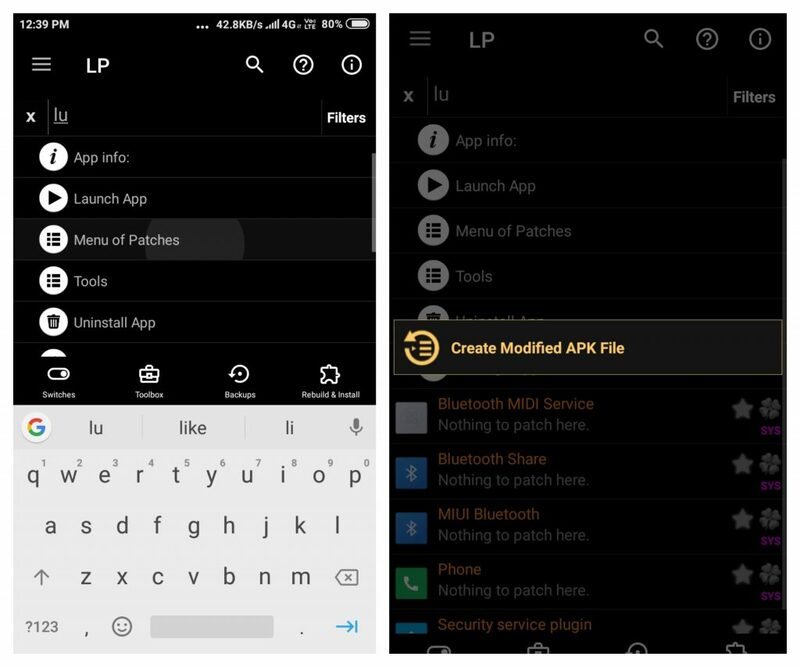 For some apps, it is difficult to control them so lucky pather team have created custom patches for many apps. You can find custom patches in the sidebar. It will take you to a website where you can download custom patches. There are many apps available on the play store to move Apps from the Ram to the Sd card. This is a pretty famous feature. 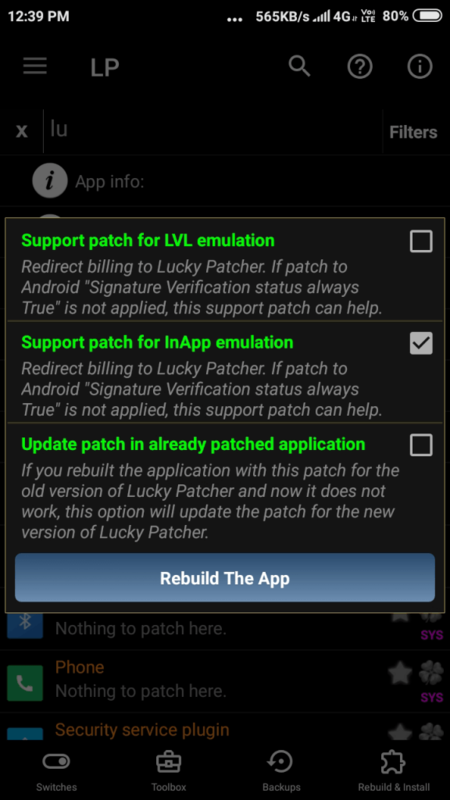 But this is extra lucky patcher feature so you did not need any extra app. After downloading it from the above button open it for installation. 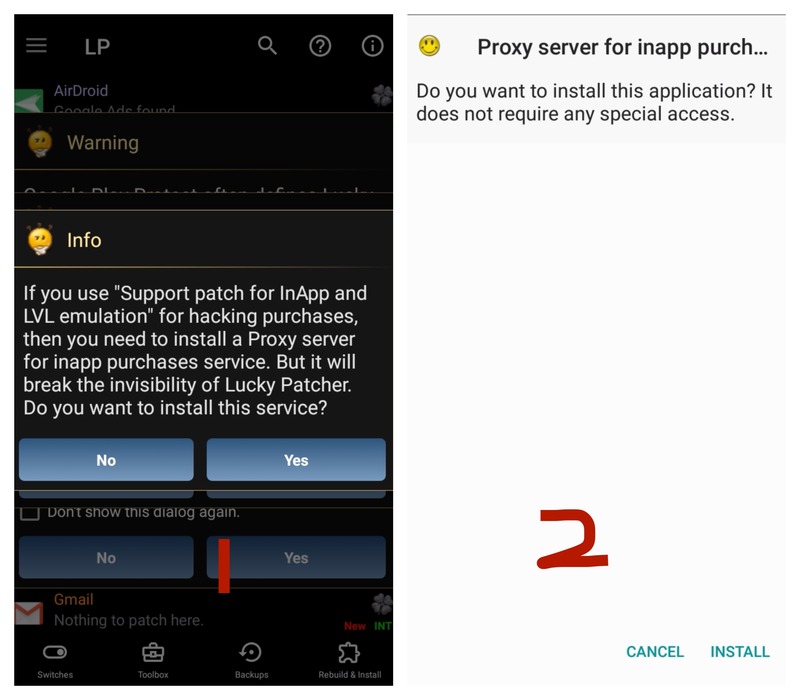 Make sure you have permission for installing from unknown source otherwise it will show you the error ” For Security Reasons, your phone is not allowed to install apps from unknown source” click on the settings and turn on permission. Start the Installation process again and click on the install button. 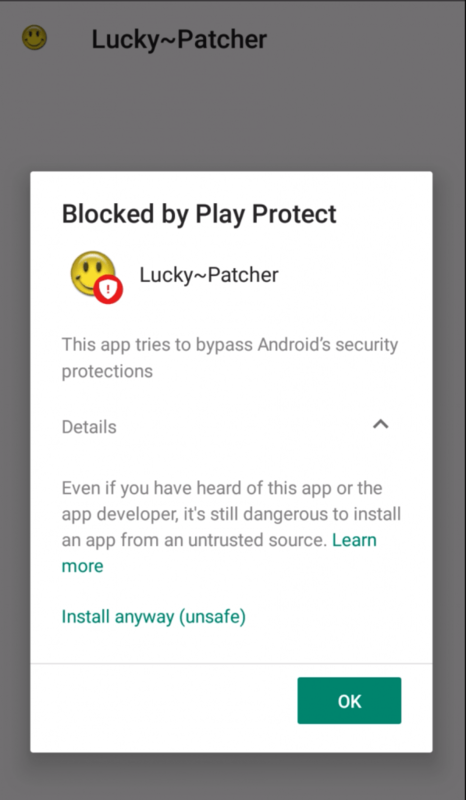 The Android team does not want that you get paid content for free so that’s why it is showing you the warning. 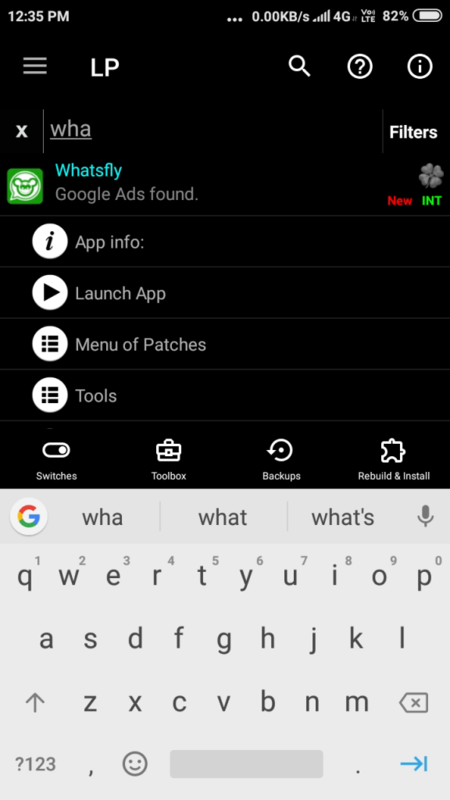 Click on the details and tap on the install anyway (unsafe). So Your installation is almost done but still some things you need to do. When you open this app the first time it will ask for files permissions and location permission. Allow both permissions. While Installation you may see something Just clicks on the allow button. Make sure you follow all popup messages allow whatever this app needs. For the tutorial, I will use two apps first is my own app whatsfly and second is subway surf. 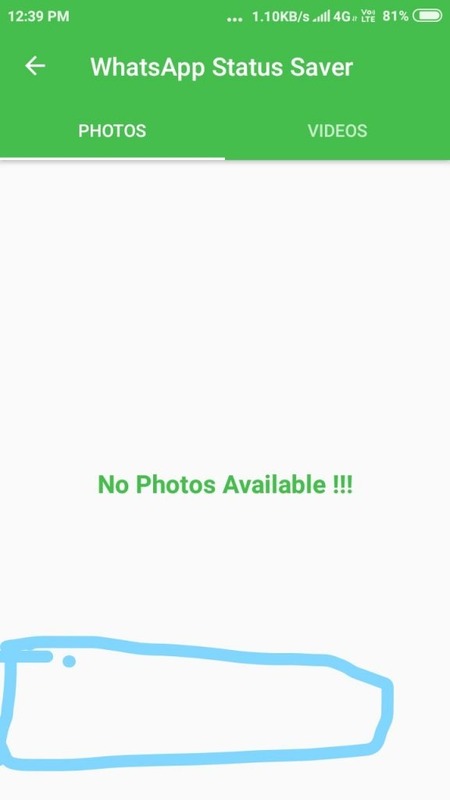 This is an android app which is used for saving WhatsApp status, latest truth dares message and WhatsApp images status. 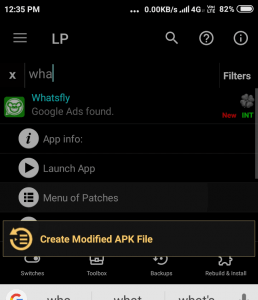 So open lucky patcher and found whatsfly or you can use the search box and tap on it. It will start the process & make 2-3 minutes time also depends upon app size and your phone RAM & Processor. 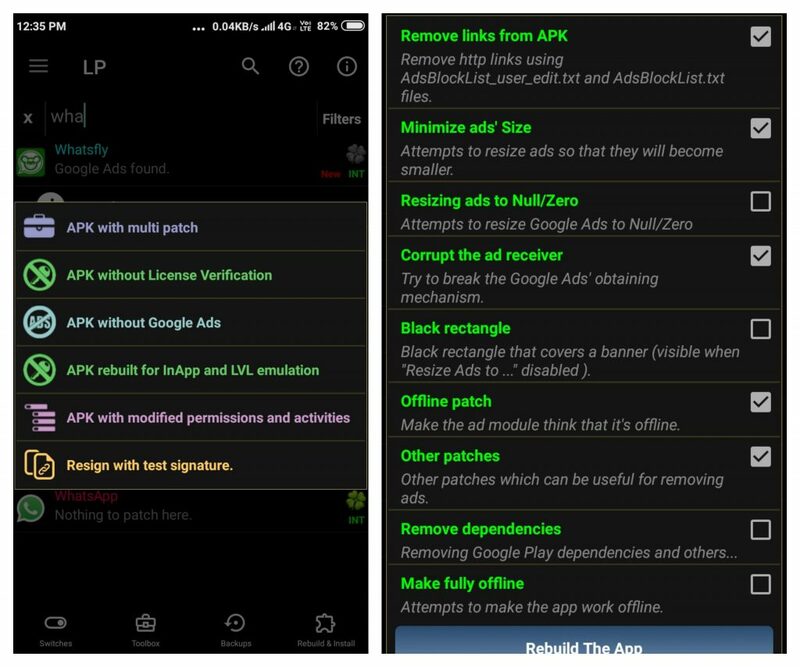 Basically, it will uninstall original apk and install modified apk on your phone. So it will uninstall popup first and then install modified apk as you can see in the screenshot. Select the second point and click on the ReBuild the app. It will take a couple of seconds. When the process is complete a new popup will appear. Tap on Go to File and then select ReInstall button. 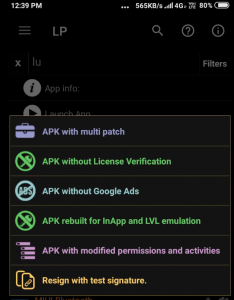 It will delete original apk and install moded apk. So make sure you help in clicking the uninstall button and install button. If you face ads the chose no ads subscription. 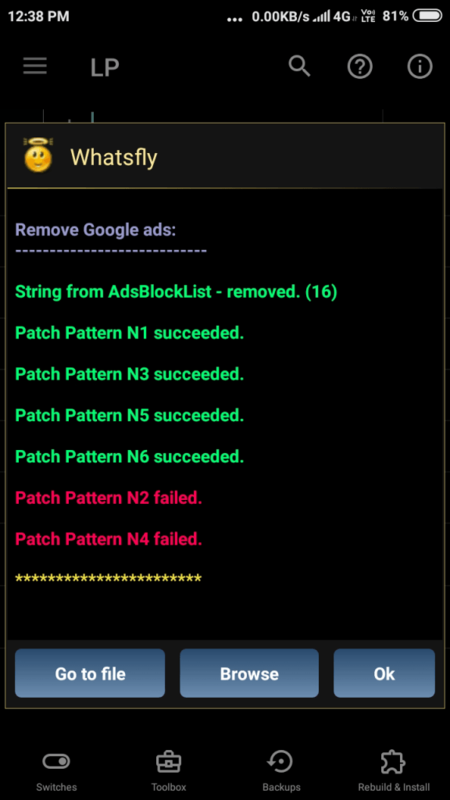 It will remove ads successfully. How lucky patcher makes money? Will it work for all games? Is it legal to use Lucky Patcher? Why it is not available in the play store? For what purpose this is made? 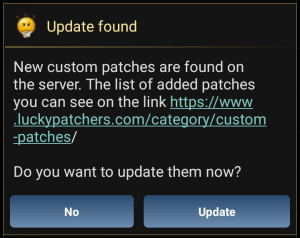 What Is Custom Patch In Lucky Patcher? what is the name of the founder of this app? Chelplus is the founder of this app and he is from Russia. The official website is managed By his friend Mahmudul Hasan from 2016. I hope you like this article about lucky patcher. This app is from a very long time in the market. Generally, I have found that apps stop working with time but this still working. what is your view of point about this? 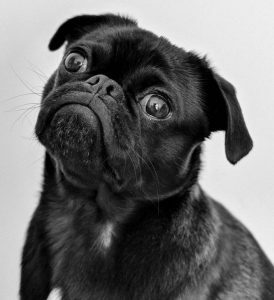 The user can share problems or feedback by the comment box.